Can you see this? – My thoughts on a page. If you can see this it proves I’m a wordpress genius. Okay not quite but it does mean I have managed to schedule a post. If it’s Friday it means I’ve even got the day right. Do you wonder why I’m scheduling? Well just to let you all know I’m miles away from this blog and in fact Ireland. If you listen you might even hear us, a gang of women cackling. Yes that is us, hopefully behaving disgracefully as you read. So congratulations to me on managing to publish a post from so far away. Will be back to writing again soon when I have fully recovered from my mini holiday. I'd love if you shared. 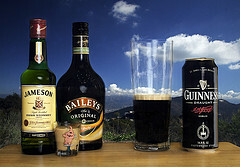 Posted in blog, blogging, humor, Ireland, life, personalTagged escape, girls weekend, scheduling posts. ‘It’s a boy’. Happy Birthday. Malaga as experienced by me. Congratulations on a well done scheduled post!! Yay for you!! I envy your time away with the girls, cackling like hens and having a grand time! I am ready for another vacation myself, but I don’t see that in my pocket book just yet! Deb it was perfect. Girl bonding at it’s best and the weather was beautiful. 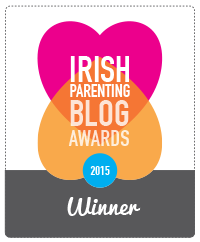 Pingback: Irish Parenting Bloggers | Can you see this? Yep, looks like you’re a WordPress genius after all. We’d a few drinks to celebrate this and the weather, and the day of the week and anything else we could think of. As you can imagine Beth a few nights away from family responsibilities with a gang of friends is just about perfect. Ah Diana I was escaping from Ireland to Spain. I’m home again now after a great few days in the sun. Raining non stop here. Waaahh. That might have been a polite way to describe it. We had a fantastic time. I think my true calling was to be a professional vacationer…. We are home again and I can assure you we had great fun. Winner Best Writer and Best Personal Blog. Would you like to follow this Blog via Email? Posts you may have missed. Slowly emerging from the fog. International Women’s Day. I celebrate Lavinia. To you, my brown eyed girl. February, Part Two: Stepping Stones. If you would like to read regular posts from this blog just enter your email mail address. Raising daughters. Cork - Oxford - Dublin. Mind, Madness,miles and Mum Me Time. Just an average mum trying to do the best I can while trying not to lose myself .